JWST’s primary mirror has a diameter of 6.5 meters while HST has a diameter of “only” 2.4 metres. The James Webb Space Telescope (JWST), scheduled to be launched in October 2018, is expected to yield important scientific breakthroughs in our quest to understand the universe and our origins. 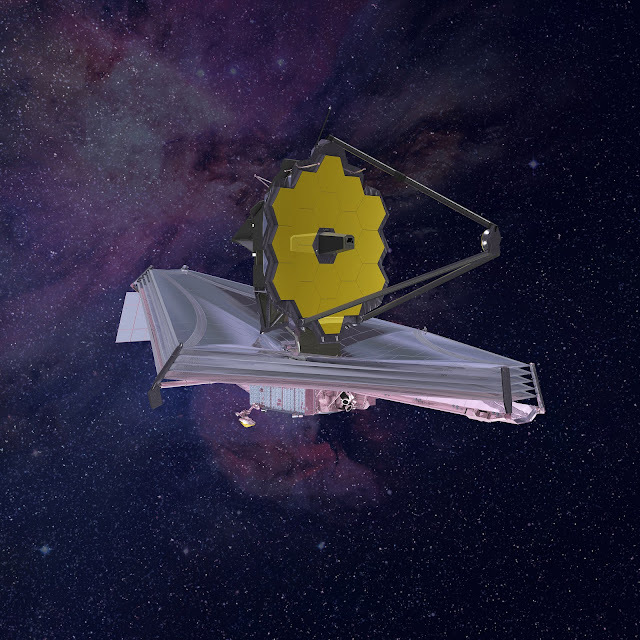 JWST, often touted as a successor to the Hubble Space Telescope (HST), will be a large infrared telescope with a 6.5-meter primary mirror, serving thousands of astronomers worldwide. In an interview with Astrowatch.net, JWST Project Scientist Pierre Ferruit of the European Space Agency (ESA), talks the telescope’s key role in future astronomy observations, describes the latest updates and explains how Europe contributes to the project. Astrowatch.net: What significant scientific discoveries do you expect from JWST? Pierre Ferruit: JWST is a joint mission between NASA, ESA and the Canadian one (CSA). It will be a very versatile observatory allowing astronomers to study targets ranging from our own Solar system to the most distant galaxies. Other examples include studies of the atmosphere of planets orbiting other stars or of the clouds of gas and dust where stars form. In all these domains, JWST is expected to achieve significant breakthroughs. As an example, JWST will provide us with an unprecedented view of the times when the first stars and galaxies formed, when the Universe was only a few hundred million years old. JWST will also allow us to study the signature of a wide range of molecules in the atmosphere of planets orbiting other stars, greatly improving our understanding of these exoplanets. But the most spectacular breakthroughs will probably not be those the scientists have imagined. JWST represents such a leap in performances that it will open a large discovery space and we should expect the unexpected! Astrowatch.net: How much better than Hubble will JWST be regarding observations of galaxies? Ferruit: When it comes to observing galaxies, JWST has been specifically designed to be able to study the early stages of their formation and to go beyond what the HST could do. In this context, the first advantage that JWST has over HST is the size of its primary mirror. JWST’s primary mirror has a diameter of 6.5 meters while HST’s mirror has a diameter of “only” 2.4 meters. This allows JWST to collect at least 5 times more light than HST and to observe much more distant and fainter galaxies. JWST’s second advantage will be its excellent infrared sight well suited for studying distant galaxies. Astrowatch.net: Could JWST be able to detect traces of microbial life on the moons like Europa or Enceladus? Ferruit: In principle, JWST can measure spectral features in light reflected from, or emitted from the plumes of Europa and Enceladus if they are sufficiently active. With such information, we can identify molecules and more complex compounds, for instance rocky grains, ice mixtures. Microbial life, however, is extremely chemically complex, and no spectral features have been uniquely associated with microbes. Thus JWST will be unlikely to definitively identify microbial life in such plumes. Astrowatch.net: How much important is the latest deployment of the telescope’s “wings” and mirror assembly for the development of JWST? Ferruit: The deployment of the two “wings” of JWST’s primary mirror is indeed taking place toward the end of the overall deployment. This is a critical step during which the primary mirror reaches its full extension with all its 18 primary mirror segments in place. Obviously, we pay a lot of attention to the mechanisms involved in this deployment to make sure it is successful! Astrowatch.net: Is JWST on track for the launch in 2018? What else needs to be done in order to fully prepare it for the liftoff? Ferruit: Yes, JWST is on track for the launch in 2018. The mission is progressing steadily, within budget and within schedule! We still have quite some work in front of us before launch including some major milestones in 2016. 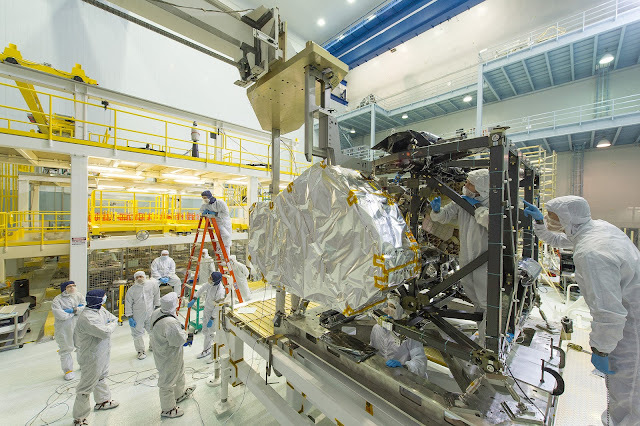 As an example, in the first half of 2016, we will have completed the testing of the Integrated Science Instrument Module with all four JWST instruments. We will also have finished the integration of the telescope. After that, we will continue the assembly and testing of the various elements of JWST (telescope, sunshield, spacecraft), bringing them progressively together until we are ready for launch in 2018. Astrowatch.net: How much important will the MIRI and NIRSpec instruments be for the observations JWST observations? Ferruit: MIRI and NIRSpec have key roles to play. They provide unique capabilities that JWST needs to achieve some of its scientific objectives. MIRI, the Mid-InfraRed Instrument, has been developed as a partnership between Europe and the USA. It is the only instrument on-board JWST that will be able to observe mid-infrared light. It will have an unprecedented sensitivity, order of magnitudes better than any existing mid-infrared facility. The near-infrared spectrograph NIRSpec will play a different card. It will be able to observe many objects at the same time – typically between 70 and a few hundred – greatly enhancing the efficiency of the observations and allowing to study the spectral properties of large samples of objects. Astrowatch.net: How Europe contributes to JWST project? The provision of the near-infrared spectrograph NIRSpec that was manufactured for ESA by a consortium of European companies led by Airbus Defence and Space, with contributions from the NASA Goddard Space Flight Center. The provision of the Mid-InfraRed Instrument MIRI. The main partners in this endeavor are a consortium of nationally funded European institutes (the MIRI European Consortium), the Jet Propulsion Laboratory (JPL), ESA, and NASA’s Goddard Space Flight Center.